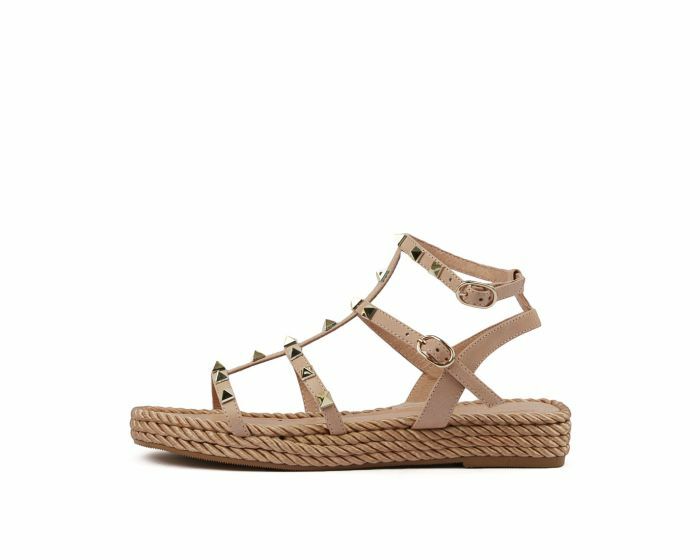 This fashion-forward sandal has a little bit of everything! The cage straps have pyramid stud details, as well as a double buckle design that's secure as well as stylish. The satin-finish rope trim around the sole adds a luxurious feel to the design, making it perfect for evening wear as well as day!